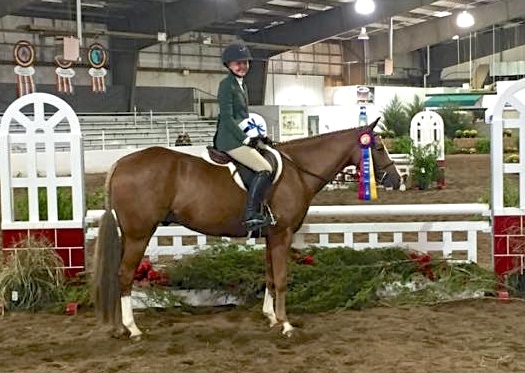 Hunter Holloway and Any Given Sunday won the Region 5 Maclay Medal Regional Finals at the St. Louis National Charity Horse Show. Photo Flying Horse Photography. Lake St. Louis, MO - September 12, 2015 - It was a blue ribbon weekend for the Holloway’s Equi-Venture Farm of Topeka, KS, at the St. Louis National Charity Horse Show. The horse show hosts the prestigious Region 5 Maclay Medal Regional Finals at the Lake St. Louis Equestrian Center, which determines the riders who will continue to the Maclay Finals at the CP National Horse Show October 27- November 1, 2015. No doubt, Equi-Venture Farm was ready for the challenge. Saturday evening, thirty-four riders walked the Chris Coleman designed course and mounted up for the Maclay Regional Medal Finals. Coleman had a swoop jump with the swoop up rather than down that proved to be a challenge for most of the class. Judges Bob Crandall and Diane Carney called all but seven of the riders who did not complete the course, back for the flat phase. In the end, Hunter Holloway and Any Given Sunday took the top honors with fellow barn mate, Misty Redd finishing in seventh to qualify them for the finals. Holloway comes of a huge season building to the championships. Her accolades include SJHOF Rider of the Month in June, winning the R.W. Ronnie Mutch Equitation Championship which includes multiple Medal and Equitation wins at Devon, winning the $60,000 Grand Prix at Summer in the Rockies and the International of Omaha High Junior/Amateur Classic on VDL Bravo S plus numerous Junior Hunter Championships and Classic wins, and that's just this year. The winning continued into Sunday for the $25,000 Grand Prix with Brandie Holloway and her Lucky Strike edging out daughter, Hunter, and VDL Bravo S, owned by Hays Investments and Virginia Bartholomay, for the win. The Equi-Venture Team share in the presentation for the top two spots in the St. Louis National Charity Grand Prix. The mother daughter duo have a fierce and friendly competitiveness to them but at the end of the day, they are happy when the blues are kept in the family. 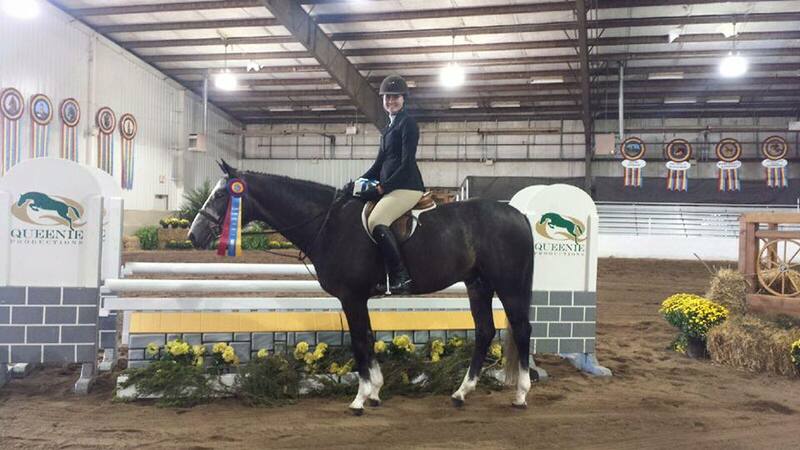 Hannah Loeffelbein and Dreamsickle took the Large Pony Hunter Championship. 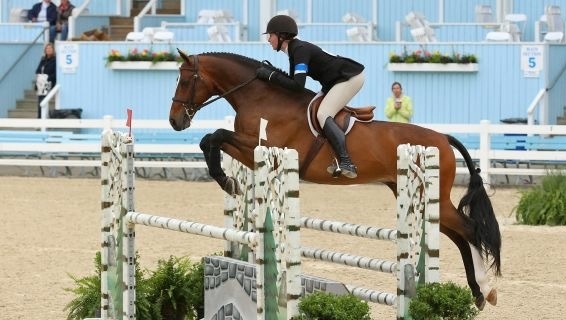 The Equi-Venture team winning streak included Abby Albrecht and MTM Nameworthy, who won the Junior Hunter Classic. Caleb Cooney won the Adult Equitation on the flat and over fences and young rider Hannah Loeffelbein was Champion in the Large Pony division with Dreamsickle. Equi-Venture Farm heads to the indoor finals which will include the USEF/Pessoa Medal Final and the ASPCA Maclay Medal Final in addition to the hunters and jumpers that are also qualified.